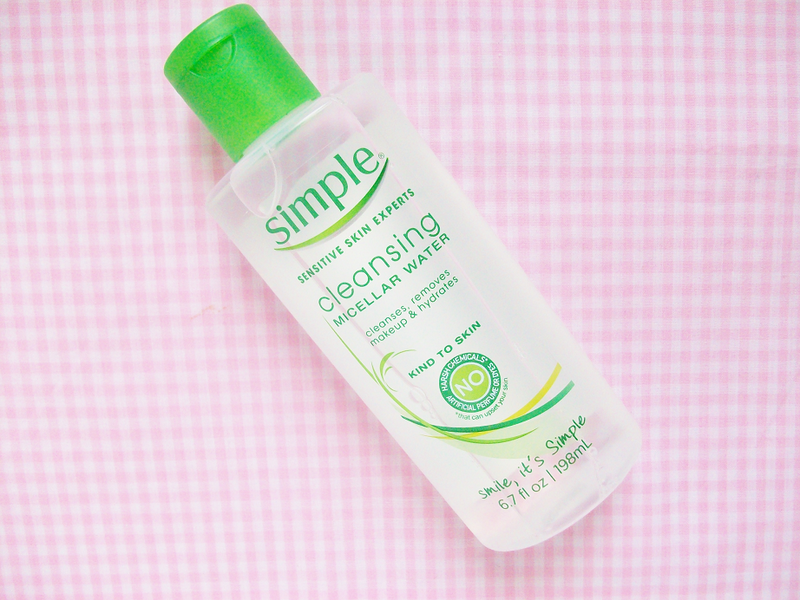 Micellar water is a new trend that's been taking the beauty world by storm! However in France it's been used for years (you've probably heard of the famous Bioderma before). 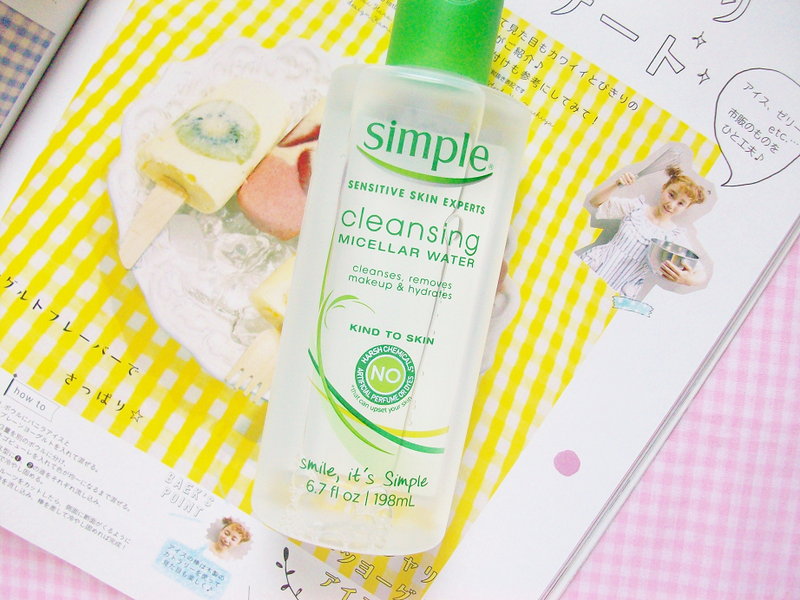 Micellar is basically water mixed in with a cleansing oil particles that help soak in dirt and gunk without leaving your skin dry. 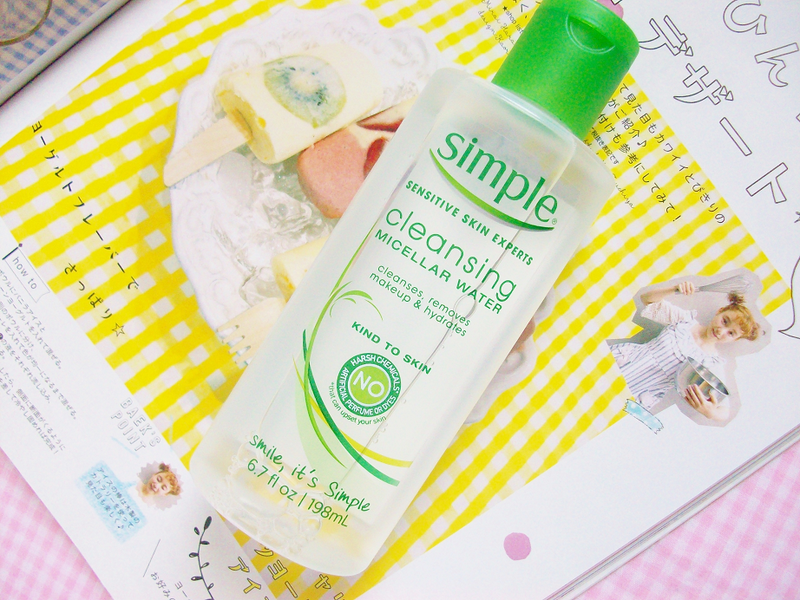 I've been using the Simple Cleansing Micellar Water (which is the first US micellar water I've seen so far) the past couple of weeks to remove my makeup at night before cleansing and it's really made my makeup removal process a lot simper (pun intended). "Simple Micellar Cleansing Water is our most advanced yet gentle cleanse to date. 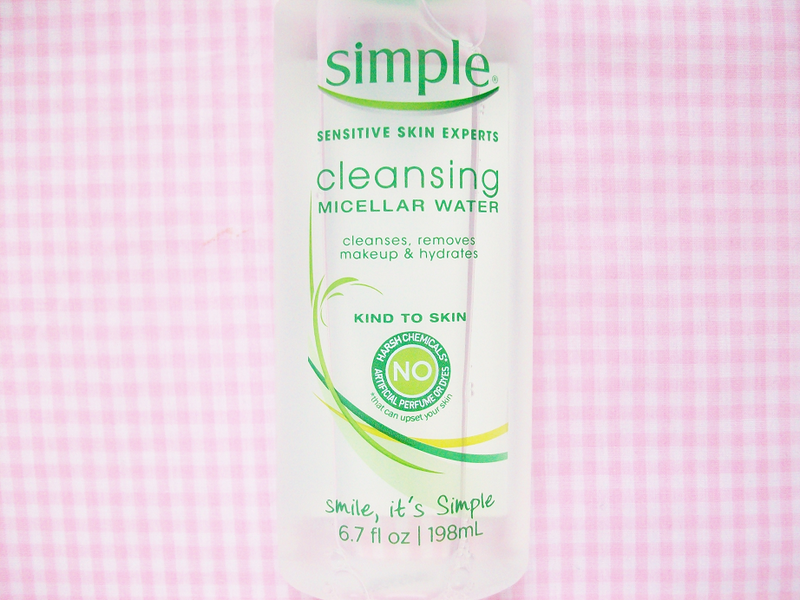 It is made with skin-loving ingredients, including Vitamin B3 and C, and Triple Purified Water, our purest possible water, to help remove contaminants know to irritate skin"
I use this at when I remove my makeup at night. I apply a bit of the water in a cotton round and place on my eye to dissolve eye shadow, mascara and eyeliner that I am wearing that day. 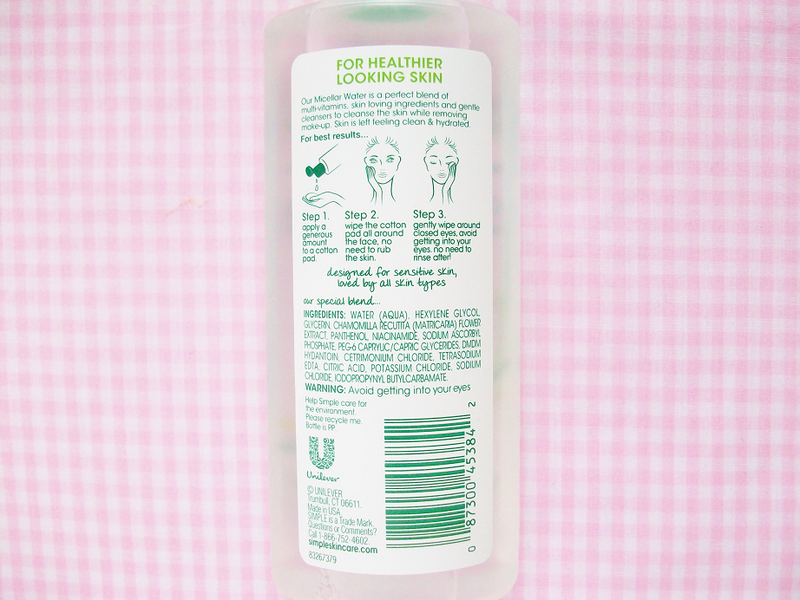 The product is light and gentle, smells clean and leave my skin hydrated afterwards. The micellar water is great at taking off waterproof mascara as well! Even though this product is labeled as a "cleansing water" it's not enough to remove everything off your skin so follow up with either another cleanser or at least a toner. I use this product like a makeup remover instead of an actual cleanser. Yes! I would actually highly recommended this product to those with sensitive skin.